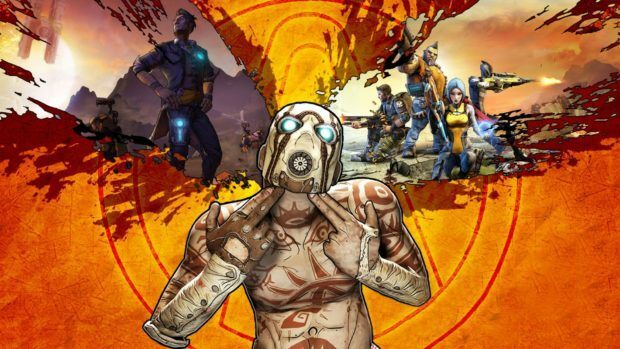 When it comes to tackling different genres in video games, comedy is something that requires a pretty accomplished and skillful development team. The process runs deeper than just penning a gag-filled script. There are other elements such as strong characters with purpose, a natural flowing narrative, and stirring gameplay that combine to accentuate humor at all perceivable ends. It goes without saying that comedy has always been a difficult challenge to achieve and the reason why there have been so few releases in the video game industry over the years — the number of good ones are even fewer. Forget the pie-in-the-face routine. Here are ten games with awesome humor to give your funny bone a complete workout — in no specific order. Eddie Riggs, a self-proclaimed “best roadie” voiced by actor and comedian Jack Black, undertakes a mission to save rock-and-roll from a demonic invasion in an alternative world inspired by heavy metal music. The greatest magic of this game is how every possible element was twisted to fit the loud and wild theme. There were head-banging characters that would literally bang their heads against obstacles, face-melting guitar solos that would melt faces off, and electric licks that would send bolts of lightning through. There were even appearances made by prominent heavy metal musicians such as Rob Halford (Judas Priest), the late Lemmy Kilmister (Motorhead), Dave Mustaine (Megadeth), and Ozzy Osbourne, among others. The written dialogues (and in-game descriptions) were excellent as well, mostly always referencing the classic metal cult for fans and listeners to catch. Chell, a silent character purposely left without any background story, tries to escape a test facility by solving puzzles with a handheld portal gun. The greatest magic of this game is how GLaDOS (Genetic Lifeform and Disk Operating System) was the only talking character in the entire journey. The main protagonist herself never uttered a word, and it was only the vengeful — looming — artificial intelligence that progressed the narrative. It threw and oversaw every single challenge, trying to act helpful when it was clear from its juvenile taunts that the renegade computer was just trying to commit murder. In such light, there are probably better ways to convince someone to move into an incinerator without stating that everything “remains safely operational up to 4,000 degrees” in the facility. The writing in this regard was brilliant, uplifting GLaDOS as one of the greatest video game characters in history. The members of the Saints street gang find themselves fighting against an alien invasion after being elected into the White House. The greatest magic of this game is how the traditional sandbox system was designed to let creativity run free, birthing pure silliness through pop culture references and jabs at the video game industry. The crafting and customization elements blended together for over-the-top results; from wearing bizarre costumes to running around naked, from smacking everyone silly with sexual objects to inflating them like balloons, from opening portable black holes to bringing death to all through dubstep music. The superhero theme also meant that players get to become Superman himself, unleashing all manners of superpowers in the fictional city and in deep space. The planet Pandora attracts another group of Vault Hunters to unearth an alien structure and reap ancient riches residing inside. The greatest magic of this game is how there can never be a more brilliant script in the franchise. Every single character was carefully tailored for unique and comedic personalities that worked hand in glove with the overall storyline. Their dialogues were excellently penned, ensuing humor at every turn. If anything, the characters were the life of the entire journey. There are just too many to choose from. 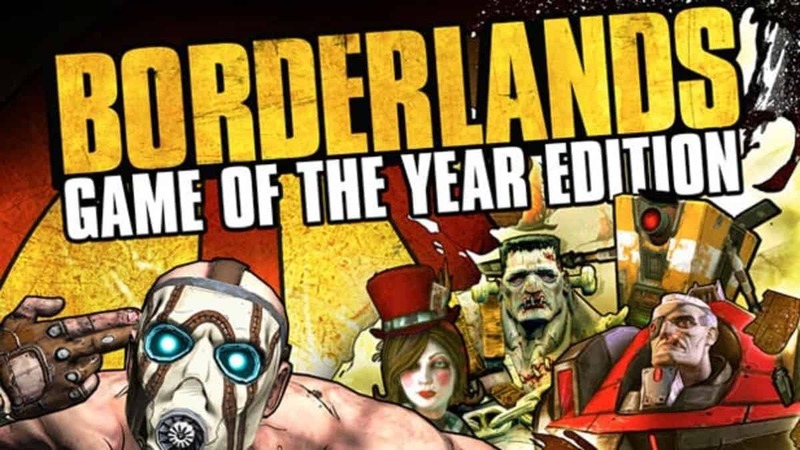 Claptrap, a robot that is programmed with an over enthusiastic personality; Dr. Zed, a doctor without a license that loves chopping up corpses; Tiny Tina, a teenager with an unstable love for explosives; Mr. Torgue, a weapon manufacturer that loves to flex; Handsome Jack, the main antagonist that loves to tell darkly amusing tales. Following a meteor crash, a remote government facility takes root as a summer camp to train children to hone their newly found psychic powers. The greatest magic of this game is how everything and everyone in the dream-laden suburb was portrayed to be a conspiracy of the highest order. Objects in the environment, such as street lights and dustbins, would often have mysterious agents behind or inside spying upon the surroundings. The characters had the same references as well. There was Dogen Boole, a boy forced to wear a tin foil hat to control his abilities; Boyd Cooper, a former milkman that became paranoid with government conspiracies; and Linda, the gigantic lung fish that protected the camp goers, to name a few. In an unsuspecting world, a runaway goat tries to do as much damage as possible by crashing into anything and everything. The greatest magic of this game is how it was initially developed as a joke by an internal employee. Things only started to get serious when early alpha footage, released online, was met with excitement and praise by the public. Does it even need to be clarified as to why a goat ruining barbecues, climbing rooftops, running through clotheslines, and licking passing vehicles made millions laugh until they dropped dead? Ratchet, a feline humanoid mechanic, and Clank, a compact sentient robot, travel the universe together to save it from evil forces. The greatest magic of this game is how every single adventure featured unique and over-the-top weapons and gadgets, each equally fun and destructive. The aspect became a cornerstone, amassing a whole arsenal of exotic items. From turning enemies into pixels to toasting them with a fire-breathing lizard, from forcing enemies into grooving to electrocuting them with Tesla coils; there were so many fun ways with which to clean out a battlefield. Not to forget the banter between the main characters, as well as others. This game had the perfect harmony between humor and fun. Right after a new kid, aptly nicknamed “douchebag” for obvious reasons, moves into the fictional Colorado town, alliances are formed to obtain a coveted powerful relic and defeat an alien invasion. The greatest magic of this game is how it perfectly transitioned from the long-running television show that it is based upon, courtesy of the original writing duo. The gutter humor was still present in the same capacity; everything from fart jokes to refusing to flush toilets, deciding to clench or not during alien probes, and taking a detour into human anatomy right from the backdoor. Hence, in many ways, this experience was only set for fans. Those coming in new still found entertainment but suffice to say, some were amazed that something like this has been televised for decades. The protagonist is a real life octopus and must hide this fact from his human family by any means necessary. The greatest magic of this game is how a simple plot point was expanded to make the gameplay both fun and challenging. The dad had to complete every day chores and tasks around the house but in a way that depicted normality, which was nearly impossible since he had eight legs to deal with. Watching him fumble around was better comedy than what others offered so far. Nigel Burke, a recently hired surgeon at a fictional hospital, must carry out various operations on patients and hope they survive. The greatest magic of this game is how the laughs were found in the execution and not design. Incompetency was a core part, leaving it up for discussion as to whether an organ should be removed with an old hammer or bare hands. If human patients were not enough, operations were also carried out in space stations on an alien race.